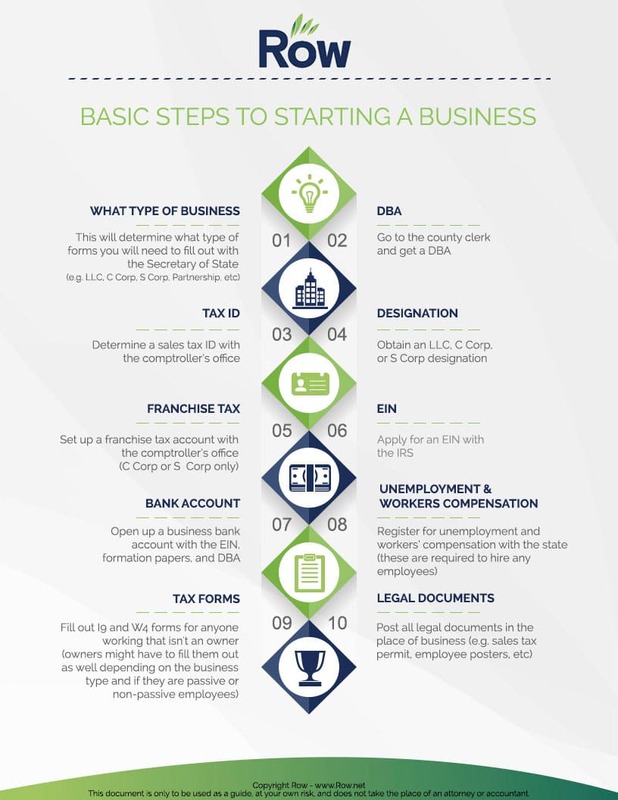 Follow these 10 steps to help get your business up and running smoothly. This will determine what type of forms you will need to fill out with the Secretary of State. (e.g. LLC, C Corp, S Corp, Partnership, etc). Go to the county clerk and get a DBA. Apply for a sales tax ID with the comptroller’s office. Need an LLC, C Corp, or S Corp Designation. Set up a franchise tax account with the comptroller’s office. Apply for an EIN with the IRS. Open up a business bank account with the EIN, formation papers, and DBA. 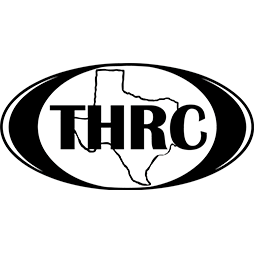 Register for unemployment and workers' compensation with the state (these are required to hire any employees). Fill out I9 and W4 forms for anyone working that isn't an owner (owners might have to fill them out as well depending on the business type and if they are passive or non-passive employees). Post all legal documents in the place of business (e.g. sales tax permit, employee posters, etc). 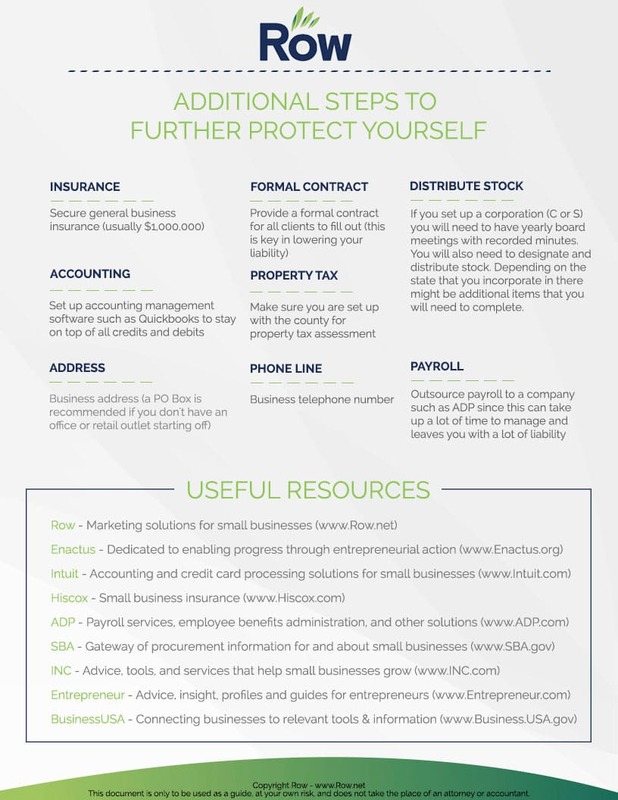 Secure general business insurance (usually $1,000,000). Set up accounting management software such as Quickbooks to stay on top of all credits and debits. Business Address (a PO box is recommended if you don't have an office or retail outlet starting off). Provide a formal contract for all clients to fill out (this is key in lowering your liability). Make sure you are set up with the county for property tax assessment. If you set up a corporation (C or S) you will need to have yearly board meetings with recorded minutes. You will also need to designate and distribute stock. Depending on the state that you incorporate in there might be additional items that you will need to complete. Outsource payroll to a company such as ADP since this can take up a lot of time to manage and leaves you with a lot of liability.